Slow Cow® is not only a new product, It is the leader of a completely new category of relaxation drinks! The Original Slow Cow®, has a beautiful light blue color and no calories, no sugars and no caffeine. All this with a refreshing dragon-fruit-citrus flavor. L-Theanine increases the levels of GABA (gamma-aminobutyric acid), the neurotransmitter inhibitor that produces relaxation and a state of well-being. In addition, it is well documented that L-Theanine increases mental awareness, encourages relaxation without causing sleepiness, reduces stress and anxiety, and improves cognition, concentration and sleep quality. The uses of chamomile date back hundreds of years. Nowadays, the numerous varieties of plants are used for various health problems including irritable bowel, loss of appetite, indigestion, insomnia, anxiety and stress. Valerian is recognized by the World Health Organizationas useful in reducing anxiety and restlessness, improving mental balance restoring a good night’s sleep. The various elements of the plant make up its anti-depressant and relaxing effects. Although it has antispasmodic and sedative properties, it calms, without affecting concentration or causing drowsiness. Linden is renowned for its appeasing virtues and for facilitating sleep. Linden relieves stress as well as headaches brought on by stuffed sinuses. It relaxes nerves, reduces anxiety, calms stress and prevents muscle spasms. Diuretic and tonic, hops is often used against rickets, anemia, general weaknesses, lack of appetite, insomnia and sleeping disorders. It also has properties that act as a digestive system stimulant. DO YOU GET TIRED, SLEEPY OR DROWSY FROM DRINKING SLOW COW® ? No Slow Cow® does not induce sleep, drowsiness nor fatigue. Except if you are suffering from insomnia; Slow Cow® contains Valerian, which helps relieve non-chronic insomnia caused by exhaustion or burnout, thereby making it easier to fall asleep. WHY IS SLOW COW® BLUE ? Studies has shown that, Blue is beneficial to the mind and body. It slows human metabolism and produces a calming effect. Blue is strongly associated with tranquility and calmness. IS IT GOOD TO DRINK SLOW COW® DURING THE DAY ? Yes, you can drink Slow Cow® all day, every day. – It’s especially good when you have to concentrate, focus and in stressful moments. If you wish to learn more, check our “inside the can” section. WHAT DOES SLOW COW® TASTE LIKE ? Slow Cow® tastes like the best functional drink of all time, Slow Cow®! – And to be a little more precise Slow Cow® has a “fresh” flavor and we use Pitahaya flavor. IS SLOW COW® THE OPPOSITE OF AN ENERGY DRINKS ? No Slow Cow® is not the opposite of an energy drink. Slow Cow® is a “relaxation” drink, that promotes a feeling of natural calmness. Slow Cow® contains Passiflora, which helps in cases of nervousness created by intellectual over-stimulation. L-Theanine is an amino acid found in green tee. Unlike caffeine, L-Theanine increases the level of GAB, the neurotransmitter inhibitor that produces relaxation and a state of well-being. 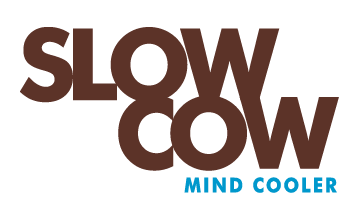 I WISH TO DISTRIBUTE SLOW COW® MIND COOLER IN MY MARKET PLACE OR IN MY COUNTRY, HOW MUST I PROCEED? ARE THERE ANY CONSTRAINTS ASSOCIATED WITH THIS PRODUCT? Since there are no studies on that matter, we recommend that pregnant and breastfeeding women ask medical advice to their physician before drinking Slow Cow®. People allergic to asteraceae plants should also refrain. HAS THE PRODUCT BEEN TESTED? Yes, Slow Cow® has been analysed during the process to obtain the number of natural product (NPN) granted by Health Canada. 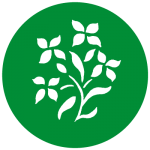 Its purpose is to protect the health of the consumers and facilitate the access to a wide range of natural products. The Slow Cow® TM number is TM-12-0258. WHAT ARE THE PROPERTIES OF THE INGREDIENTS IN SLOW COW®? 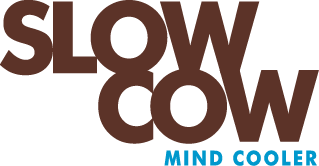 WHAT IS THE DIFFERENCE BETWEEN A SLOW COW® MIND COOLER AND AN ENERGY DRINK? Slow Cow® calm the system instead of exciting it, and it does so without causing drowsiness. It reduces stress and improves concentration. ​CAN SLOW COW® BE SAFELY CONSUMED BY PEOPLE WITH HEART DISEASES? Even if no medical study was conducted on that matter so far, we can assert that the risk associated with drinking Slow Cow® for people suffering from cardiac problems is low, considering that it contains natural ingredients and our original version is calorie free. However, we recommend that you speak about it with your physician. ​CAN SLOW COW® BE SAFELY CONSUMED BY DIABETICS? Even if no medical study was conducted on that matter so far, we can assert that the risk associated with drinking Slow Cow® for diabetic people is low, considering that it contains natural ingredients and our original version is calorie free. However, we recommend that you speak about it with your physician. ​CAN SLOW COW® BE SAFELY CONSUMED BY PREGNANT WOMEN? Since no medical study was conducted on that matter, it is recommended for pregnant and breastfeeding women to seek medical advice from their physician before consuming Slow Cow®. CAN SLOW COW® BE MIXED WITH ALCOHOLIC BEVERAGES OR SEDATIVES? It is not recommended to consume Slow Cow® while mixed with alcoholicbeverages or sedatives. On its own, chilled, Slow Cow® is so much better! WHAT ARE THE INGREDIENTS IN SLOW COW® ORIGINAL ?